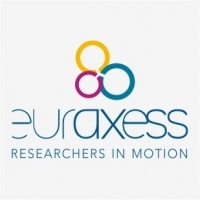 EURAXESS Centre in Krakow is a part of EURAXESS European network, which supports mobility and development of researchers' career. Presently, there are almost 500 Centres in different countries. There are 10 such Centres operating in Poland. and other formalities related to your research stay in Poland. Contact details to 10 EURAXESS Centres in Poland. You can also go to the European EURAXESS webpage created by the European Commission. There, you can find contact details of EURAXESS Network in 40 different countries, which may be useful when going abroad. Malopolska Region is one of the most dynamically developing regions in Poland and Central Europe. It is located at the crossroads between the West (Austria, Germany) and the East (Ukraine), North (Scandinavia) and the South (Slovakia, Hungary), has unique advantages and attracts 8-10 million tourists each year, new investments and young people studying at Malopolska universities. The Region has approximately 3.2 million inhabitants and covers the area of 15.2 thousand square kilometres. The capital of Malopolska is historic Krakow (over 756 thousand inhabitants, the second largest city in Poland) - the cradle of the Polish state. The city is the home for more than 200 thousand students. Tourists admire the Wawel Royal Castle, the historic Old Town, the vibrant with life the Kazimierz district, museums, galleries, theatres and music stages. Krakow Airport, the second largest in Poland, supports approximately 3.5 million passengers each year, offers direct flights to the majority of European countries. From Krakow, the roads lead to other urban centers of the region - Tarnow (over 115 thousand inhabitants), which is known among others from the well-developed chemical industry, to Nowy Sacz (over 85 thousand inhabitants), which is the headquarter of numerous companies operating in the building materials branch, food processing and machine industry. Zakopane, Polish capital of winter sports and tourism, is located south of Krakow, in the heart of the Tatra Mountains - the most beautiful range of Polish mountains. Approximately 8 million people live within the 100 kilometres range of Krakow, what demonstrates the huge potential of the internal market. One of the main assets of Malopolska is the potential of human resources. Over 10% of the region population has a university degree. 13% of Polish scientists work at Malopolska universities. The spending for R&D sector placed the region on the second position in Poland. The research of Malopolska students competition indicated that 65% of young people can speak English, besides well-known: German, Russian and French. 33 Malopolska’s universities educate staff in the field of technical sciences, economy, medicine, humanities. Malopolska produces 7.3% of Polish GDP (2010) and GDP per capita amounts to 8 thousand EUR. The value of direct foreign investments in Malopolska Region (2011) is 1.1 billion USD. Podkarpackie Region is situated in south-eastern Poland, sharing its border with Ukraine and Slovakia. To the west, it is bordered by Małopolskie Voivodeship, to the north-west by Świętokrzyskie Voivodeship, and to the north-east by Lubelskie Voivodeship. The region is the outer border of the European Union.Unspoilt nature and beautiful landscapes of the Bieszczady Mountains are its greatest value and make Podkarpackie one of the most popular holiday destinations in Poland. Podkarpackie is one of the least densely populated voivodeships because of the mountainous landform. Various species of flora can be found all over the region. The area under protection is 20% larger than that of the national average.The Bieszczadzki National Park is inscribed on the UNESCO Cultural and Natural Heritage List. One can take part in photo safari and see bears, lynxes, aurochs and beavers. In addition, there are 10 landscape parks, 17 areas of protected landscape and 71 nature reserves in the region. The number of agrotouristic farms is rising and production of organic food is becoming bigger and bigger. Podkarpackie can be proud of the wealth of picturesque spas such as Iwonicz Spa, Rymanów Spa or Polańczyk. Solińskie Lake, the largest of Polish artificial lakes, is an ideal water sports resort with several sailing clubs. A lot of tourist theme routes have been arranged to promote walking tours in the region. Bicycle routes of different lengths and various levels of difficulty also cover large areas. Another attraction of the region is existing of religious and secular remains associated with centuries-old coexistence of Polish, Jewish and Ukrainian communities. A multicultural tourist route lead through 175 sites, where one can admire wooden churches, palaces and mansion houses. The most precious pearl of the voivodeship is Łańcut Palace, one of the most superbly preserved magnate residences in Poland. The Renaissance palaces in Baranów Sandomierski and Krasiczyn are also worth mentioning. Two special economic zones, set up to stimulate economic activity, have been operating in Podkarpackie for several years: Europark Wisłosan Special Economic Zone in Tarnobrzeg and Europark Mielec Special Economic Zone, which was the first zone of this kind to be established in Poland. The zones have activated the region’s economy and thus contributed to a higher level of employment. Podkarpacki Science and Technology Park has created an opportunity for cooperation among scientists and entrepreneurs, which encourages innovation and helps in transferring new technologies.The aim of Aviation Valley- which denotes the aircraft industry and research centres- is to transform Podkarpackie into a leading European aviation region. At present, there are six border crossings with Ukraine: the railway border crossings in Medyka, Krościenko and Werchrata, and the road border crossings in Korczowa, Medyka and Krościenk. On the border with Slovakia, the road border crossings are in Roztoki Górne, Balnica, Radoszy Jaśliska, Barwinek and Ożenna; the railway border crossings are in Łupków and Czeremcha. - agglomeration of 30 companies that cater for the sale of computer equipment, designing software products and computer network installation, among others (the companies cooperate with vocational secondary schools and universities in order to raise staff qualifications and embark on innovative research projects in the field of IT).